Dr. Burkhardt received a MSc in Environmental Engineering from Technical University of Munich, Germany in 1983. In 1988 he received a MD from Ludwig-Maximilians-University in Munich, Germany and in 1994 earned his PhD, thesis titled “Experimental Research on Repeated Application of Broncho-Alveolary Lavage (BAL).” Dr. Birkhardt furthered his areas of specialization as a Psychiatrist and Psychotherapist in 1996 and as a Neurologist in 2003. Some of Dr. Burkhardt’s professional endeavors include positions as Assistant Doctor (1988-1994) and then as Head Physician (1994-1999), Assistant Director in the alcohol-medication- and drug- addiction department, and Assistant Director in the Neurological Department of the Neurological and Psychiatric Hospital in Haar near Munich, Germany. His teaching experience includes teaching medical doctors for qualification in treatment of addiction diseases (1997-2003). 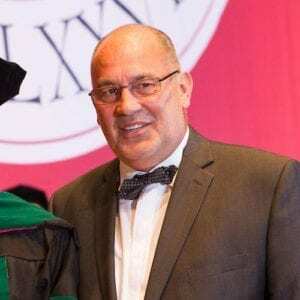 Dr. Burkhardt has been a faculty member with St. George’s University, Grenada, since 2001 as Professor of Neuroscience in the School of Medicine, Department of Physiology and Neuroscience and has clinical responsibilities seeing and treating neurological and psychiatric patients. Dr. Burkhardt’s interest in energy conservation and management led him to the Founding of the Company Grenada Solar Power Ltd. in 2005 where he oversees the Design, Planning and Installation of Photovoltaic Systems in Grenada, with 21 Grid-Connected Systems installed to date. In March 2008, he founded the Company Solar Power St. Lucia and in December 2007 founded the Photovoltaic Research Program with WINDREF Institute.